The 2016 Toastmasters World Championship of Public Speaking is over. The stage lights are dim. I can eat real meals again. Like many Toastmasters who’ve returned to their homes around the globe, I too have made it back to the Midwest. Now, I have to admit - waking up at home felt good…but there was also a sense of emptiness. 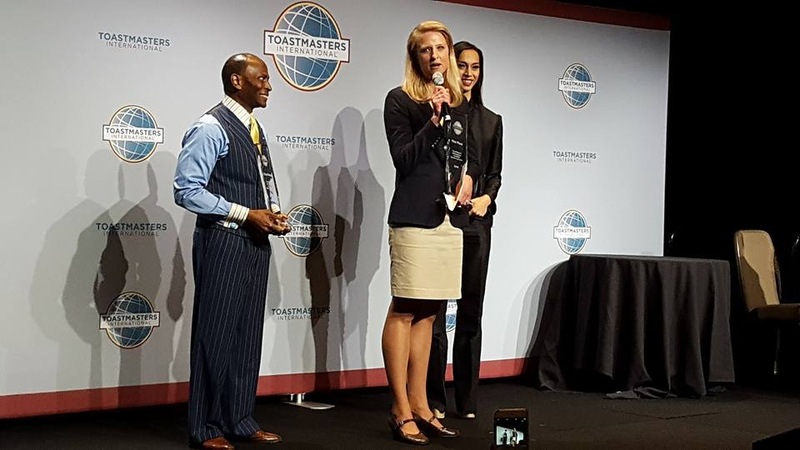 It feels like that-- because preparing to compete in the Toastmasters International World Championship of Public Speaking is an emotional roller coaster with twists and turns and detours and dead ends (shout-out to my finals speech titled, Recalculating). With each contest you win…club, area, division, district, semifinal, final…the stress gets higher, your hopes get higher – you think: I might really be able to do this! Well…maybe that’ll be next year. So what did I gain from this? Put simply, I’m a lot wiser. I learned many lessons, made friends, had new experiences - pushed myself to limits I never dreamed of. Getting on that world stage. Being one of the top 10 public speakers in the world. This was a great start to a first time journey. More blog posts are coming, because many have asked, “What’s it like competing on the World Stage? How did you prepare for the semifinals? What’s the conference like? Why did you do this to begin with? There are so many stories within stories, that it’s difficult to put it into one blog post…because that post would go on forever. I'm home and getting reacquainted with "normal." Now about cleaning up that theoretical gift wrap…. Till then. The joy is in the journey.